So the love continues? Big Brother Naija ex-housemate and Professional chef, Miyonse, took the love he had for his 'House bae', Tboss to another level at an undisclosed club as he gave the Boss Lady kisses in a loved up moment. 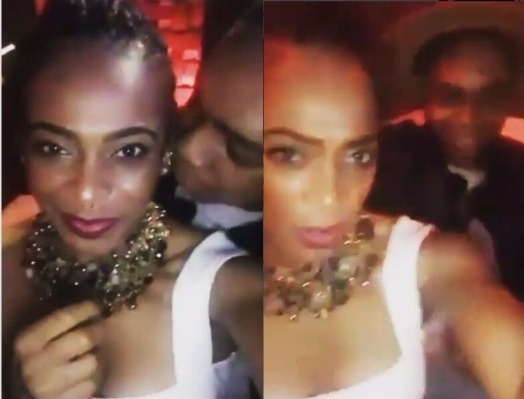 During her videoing, Tboss caught Miyonse the most on cam, Could she have a thing for him too?